Epilogue — Death, Canonization and Devotion to the Little Flower — My Catholic Life! The preceding 99 lessons are taken from the three manuscripts Sister Thérèse wrote that make up the body of the Story of a Soul. However, as will be explained in the following pages, Manuscript C was never finished and, as a result, her story presented in the three manuscripts is unfinished. The goal of this Epilogue is to offer you the end of the story as has carefully been recorded in various other ways, especially by her sisters. Thus, we conclude the beautiful story of Saint Thérèse of the Child Jesus and the Holy Face by sharing the details of her final months on Earth. On January 20, 1896, Sister Thérèse finished the first manuscript (Manuscript A) of three that would eventually make up the Story of a Soul. After presenting it to Mother Agnes of Jesus, she continued with her life as a religious sister as usual. On Holy Thursday, April 2, 1896, Sister Thérèse received the “first announcement” of her illness and death when she coughed blood into her handkerchief. This happened again on Good Friday, April 3, and was described by Sister Thérèse as a “distant murmur which announced the approach of the Bridegroom.” The approach of the Bridegroom brought with it a new and very intense suffering when on April 5 (Easter Sunday), Sister Thérèse entered into a dark night of faith by which she was stripped of all interior consolation and all sensible experience of the reality of Heaven. Everything interiorly was like “a wall which rises to the very heavens and shuts out the starry sky.” She would remain in this dark night for the next eighteen months until her death. But she understood well that this dark night was a gift by which she could love God more freely and deeply, not because she felt close to Him, but because He was worthy of all her love. Even though this darkness was more painful than she could describe, she never lost her interior peace and began to experience all suffering as sweet. It was in September, 1896, that Sister Thérèse wrote the second manuscript (Manuscript B) of the Story of a Soul in the form of a letter to her sister, Sister Marie of the Sacred Heart. That manuscript is covered in Chapter Ten of this book. Sister Thérèse had been suffering from the effects of tuberculosis for one full year when in April, 1897, her condition worsened again. On April 6, 1897, Sister Agnes began to write down her conversations with Sister Thérèse in a yellow notebook. Later, this notebook would be published under the title Her Last Conversations. Sister Agnes intuitively knew, by divine inspiration, that the words spoken by her sister in the coming months needed to be recorded. She followed that divine inspiration and, through these recorded words, Sister Agnes invites us all to walk with this little saint through her last agony. As time went on, and as Sister Thérèse’s condition continued to worsen, the sisters were aware that she might not live long. One sister was overheard saying of her, “Soeur Thérèse will not live long, and really sometimes I wonder what our Mother Prioress will find to say about her when she dies. She will be sorely puzzled, for this little Sister, amiable as she is, has certainly never done anything worth speaking about.” Little did this sister realize that Sister Thérèse would one day be a Doctor of the Church and would be spoken of as one of the greatest saints ever to live. On June 3, at the petitioning of Sister Agnes, Mother Marie de Gonzague ordered Sister Thérèse to complete her autobiography. The first manuscript she wrote was finished in January of the previous year but only covered her childhood through her profession as a religious sister. Sister Agnes wanted more. So Sister Thérèse was ordered, despite her poor health, to write about her life as a religious sister (Manuscript C). Again, this was due to the loving spiritual intuition of her dear sister and second mother, Pauline, Sister Agnes of Jesus. As mentioned, this manuscript is covered in Chapter Nine of this book. Though this section of her autobiography shares much about her Little Way, her love of God and her motherly care for her “little lambs,” one thing is noticeably absent. Nowhere does this manuscript give the suggestion that Sister Thérèse was writing this manuscript while bedridden and gravely ill. It was as if her present illness had no effect upon her writing. Instead, she wrote for God and God alone, sharing all that God had done in her and through her, expressing especially her discovery of her little way. Thou know’st the baseness of my soul, O Lord, Yet fearest not to stoop and enter me. Come to my heart, O Sacrament adored! Come to my heart . . . it craveth but for Thee! And when Thou comest, straightway let me die Of very love for Thee; this boon impart! Oh, hearken Jesus, to my suppliant cry: Come to my heart! By the end of July, her condition had worsened to the point that she received Extreme Unction (Last Rites) on July 30. The reception of this Sacrament filled her with great joy, since she knew it was a preparation for her final journey home. The door of my dark prison is ajar. I am steeped in joy, especially since our Father Superior has assured me that to-day my soul is like unto that of a little child after Baptism. Though Sister Thérèse was ready to meet her Jesus, she would suffer for two more months. She prayed to our Lady, saying, “…I only beseech Our Lady to remind her Jesus of the title of Thief, which He takes to Himself in the Gospels, so that He may not forget to come and carry me away.” How she longed to be fully immersed in the life of Heaven. Between July 6 and August 5, she coughed blood twenty times. As a result, she was moved to the infirmary on July 8 where she remained until her death. In early July, Sister Thérèse gave up her pen, leaving her final manuscript unfinished. She was too ill to continue, so her story would have to be spoken by her suffering and by the words recorded by her sisters, especially by Sister Agnes. However, during the months of July and August she did find the strength to compose eighteen letters to family, her missionary priest brothers and to other Carmelites. August brought with it even more suffering. Over and over, Sister Thérèse was heard repeating, “Oh! how necessary it is to pray for the agonising! If one only knew!” As she suffered greatly, she never stopped trusting in the grace of God and never stopped uniting her sufferings to Jesus. One night, after suffering many interior afflictions from the evil one, she begged the sister who was caring for her to sprinkle her bed with Holy Water. The sister did that and also lit a holy candle and the attacks went away. I am besieged by the devil. I do not see him, but I feel him; he torments me and holds me with a grip of iron, that I may not find one crumb of comfort; he augments my woes, that I may be driven to despair. . . . And I cannot pray. I can only look at Our Blessed Lady and say: “Jesus!” How needful is that prayer we use at Compline: ‘Procul recedant somnia et noctium phantasmata!’ (“Free us from the phantoms of the night.”) Something mysterious is happening within me. I am not suffering for myself, but for some other soul, and satan is angry. Between the dates of August 5 and 15, her health somewhat improved, which allowed for various letters to be written. However, by August 25 her health worsened again and she would write no more. Most of her time was spent in silence and suffering. It had been almost a year since Sister Thérèse had read about the Venerable Théophane Vénard, Martyr, and had prayed a novena to him for healing. She continued to have great devotion to him and kept a picture of him in the infirmary. She had also deeply desired a relic of him but had not received it, so she accepted it as the will of God. That changed on September 6 when Mother Marie brought to her the relic she so desired. Sister Thérèse kissed it repeatedly and explained why she loved him so much. Théophane Vénard is a little saint; his life was not marked by anything extraordinary. He had an ardent devotion to Our Immaculate Mother and a tender love of his own family. And I, too, love my family with a tender love; I fail to understand those Saints who do not share my feelings. As a parting gift I have copied for you some passages from his last letters home. His soul and mine have many points of resemblance, and his words do but re-echo my thoughts. Here is a copy of what Sister Thérèse copied from the the last letters of Venerable Théophane Vénard, Martyr. These letters express the same sentiments in the heart of Sister Thérèse, which is why she was so devoted to him. I can find nothing on earth that can make me truly happy; the desires of my heart are too vast, and nothing of what the world calls happiness can satisfy it. Time for me will soon be no more, my thoughts are fixed on Eternity. My heart is full of peace, like a tranquil lake or a cloudless sky. I do not regret this life on earth. I thirst for the waters of Life Eternal. Yet a little while and my soul will have quitted this earth, will have finished her exile, will have ended her combat. I go to Heaven. I am about to enter the Abode of the Blessed—to see what the eye hath never seen, to hear what the ear hath never heard, to enjoy those things the heart of man hath not conceived . . . I have reached the hour so coveted by us all. It is indeed true that Our Lord chooses the little ones to confound the great ones of this earth. I do not rely upon my own strength but upon Him Who, on the Cross, vanquished the powers of hell. I am a spring flower which the Divine Master culls for His pleasure. We are all flowers, planted on this earth, and God will gather us in His own good time—some sooner, some later . . . I, little flower of one day, am the first to be gathered! But we shall meet again in Paradise, where lasting joy will be our portion. Saint Théophane Vénard was a French missionary serving in Indochina. He was arrested in Vietnam on November 30, 1860, and was found guilty of proselytism shortly afterward. He remained imprisoned until he was beheaded February 2, 1861, in Tonkin, Vietnam at age 31. While in prison, during the months of December and January, Théophane wrote many beautiful letters to family and others. It is these letters to which Sister Thérèse refers above. On his way to his execution, the executioner asked what Théophane would give him if he made his death quick. The saint responded, “The longer it lasts, the better it will be.” In 1909 he was beatified by Pope Pius X and canonized on June 19, 1988, by Pope John Paul II. One of her final notes was to Mother Marie. She desired to express her soul to her earlier in the day but could not. Eventually she found the strength to write what was on her heart. O my God! how good Thou art to the little Victim of Thy Merciful Love! Now, even when Thou joinest these bodily pains to those of my soul, I cannot bring myself to say: “The anguish of death hath encompassed me” (Cf. Ps. 17:5). I rather cry out in my gratitude: “I have gone down into the valley of the shadow of death, but I fear no evil, because Thou, O Lord, art with me” (Cf. Ps. 22:4). The following account of the final day of Sister Thérèse is taken in its entirety from the epilogue of the 1912 publication of the Story of a Soul under the title: Soeur Thérèse of Lisieux (London: Burns, Oates & Washbourne, 1912; 8th ed., 1922), edited by Rev. T.N. Taylor. At half-past four, her agony began—the agony of this “Victim of Divine Love.” When the Community gathered round her, she thanked them with the sweetest smile, and then, completely given over to love and suffering, the Crucifix clasped in her failing hands, she entered on the final combat. The sweat of death lay heavy on her brow . . . she trembled . . . but, as a pilot, when close to harbour, is not dismayed by the fury of the storm, so this soul, strong in faith, saw close at hand the beacon-lights of Heaven, and valiantly put forth every effort to reach the shore. These were her last words. She had scarcely uttered them when, to our great surprise, she sank down quite suddenly, her head inclined a little to the right, in the attitude of the Virgin Martyrs offering themselves to the sword; or rather, as a Victim of Love, awaiting from the Divine Archer the fiery shaft, by which she longs to die. Suddenly she raised herself, as though called by a mysterious voice; and opening her eyes, which shone with unutterable happiness and peace, fixed her gaze a little above the statue of Our Lady. Thus she remained for about the space of a Credo, when her blessed soul, now become the prey of the “Divine Eagle,” was borne away to the heights of Heaven. No sooner had her spotless soul taken its flight than the joy of that last rapture imprinted itself on her brow, and a radiant smile illumined her face. We placed a palm-branch in her hand; and the lilies and roses that adorned her in death were figures of her white robe of baptism made red by her Martyrdom of Love. On the Saturday and Sunday a large crowd passed before the grating of the nuns’ chapel, to gaze on the mortal remains of the “Little Flower of Jesus.” Hundreds of medals and rosaries were brought to touch the “Little Queen” as she lay in the triumphant beauty of her last sleep. On October 4, the day of the funeral, there gathered in the Chapel of the Carmel a goodly company of Priests. The honour was surely due to one who had prayed so earnestly for those called to that sacred office. After a last solemn blessing, this grain of priceless wheat was cast into the furrow by the hands of Holy Mother Church. Who shall tell how many ripened ears have sprung forth since, how many the sheaves that are yet to come? “Amen, amen, I say to you, unless the grain of wheat, falling into the ground, die, itself remaineth alone. But if it die, it bringeth forth much fruit” (John 12:24, 25). Once more the word of the Divine Reaper has been magnificently fulfilled. Sister Thérèse had gone to her Beloved. Her dark night and suffering were over. But as for her mission, it had only begun. Even before her death, Sister Thérèse believed that she would spend her Heaven doing good on Earth. She revealed this mission to Sister Agnes one evening after receiving clarity in her heart about what God was about to do. Mother! some notes from a concert far away have just reached my ears, and have made me think that soon I shall be listening to the wondrous melodies of Paradise. The thought, however, gave me but a moment’s joy—one hope alone makes my heart beat fast: the Love that I shall receive and the Love I shall be able to give! I feel that my mission is soon to begin—my mission to make others love God as I love Him . . . to each souls my little way . . . I trust fully that I shall not remain idle in Heaven; my desire is to continue my work for the Church and for souls. I ask this of God, and I am convinced He will hear my prayer. You see that if I quit the battle-field so soon, it is not from a selfish desire of repose. For a long time now, suffering has been my Heaven here upon earth, and I can hardly conceive how I shall become acclimatised to a land where joy is unmixed with sorrow. Jesus will certainly have to work a complete change in my soul—else I could never support the ecstasies of Paradise. 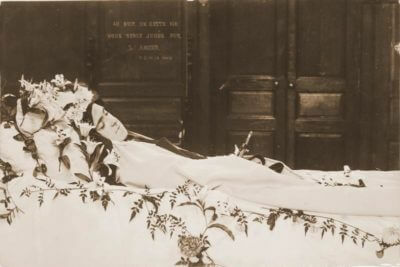 Saint Thérèse did not remain idle in Heaven. God used her very quickly to spread her little way of love. On March 7, 1898, Bishop Hugonin, Bishop of Bayeux, gave permission for the first printing of the Story of a Soul. Two thousand copies were printed and distributed over the next year. In October 1899, a second edition of 4,000 copies was printed and distributed. 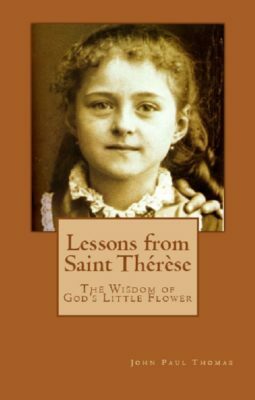 Saint Thérèse was quickly becoming read and loved throughout France and across Europe. Over the next several decades, devotion to Saint Thérèse grew rapidly. In January 1909, a Postulator and Vice-Postulator for the cause of canonization were named in Rome to begin studying her heroic virtues and sanctity. As her diary reached far and wide, letters were being sent to the Carmel in Lisieux in miraculous force. In 1914 about 200 letters were being received every day from the faithful who read her story and were inspired by her little way. In 1918, the Lisieux Carmel was receiving over 500 letters a day. And by 1923, the good sisters of Lisieux were receiving up to 1,000 letters every day singing the praises of Saint Thérèse. In 1914, just seventeen years after her death, Pope Pius X signed a decree introducing her cause for beatification. It has been reported that he privately said at that time, “Sister Thérèse is the greatest saint of modern times.” She was proclaimed a Venerable Servant of God on August 14, 1921, and beatified by Pope Pius XI on April 29, 1923. It was the great day of May 17, 1925, that Blessed Thérèse was canonized by Pope Pius XI, becoming Saint Thérèse of the Child Jesus and the Holy Face. Present at her canonization was an audience of 60,000 people in St. Peter’s Basilica. Approximately 500,000 came that evening to pray and celebrate in St. Peter’s Square. On October 19, 1997, she was declared a Doctor of the Church by Saint John Paul II. Her spiritual legacy continued on July 2, 2015, when her sister Léonie was named the Venerable Léonie Martin and the cause of her beatification began. That same year, on October 18, 2015, Saint Thérèse’s parents were canonized together, making them the first husband and wife to be canonized and the first canonized parents of an already canonized saint. May the Little Way of Saint Thérèse be understood, loved and lived by many. She is indeed one of the greatest saints of our time, and she will continue her mission of spending her Heaven doing good on Earth. Saint Thérèse, pray for us!